You are currently browsing the monthly archive for March 2011. What do you search for when you want to buy flowers on the internet? Do you go to your trusted local florist’s website, or do you just search ‘buy flowers online’ and pick the first the one listed at the top of the page? The independent product testing company Which? recently rated six online florists on their Mother’s Day flowers, unfortunately their decision to test nationwide companies means when it comes to flowers they missed out on the best of the bunch. They only ended up with one bouquet from an actual florist shop and that order was passed to the florist from Interflora, a relay company. There are several distinct types of florists online and knowing which is which could greatly affect the flowers that are received. 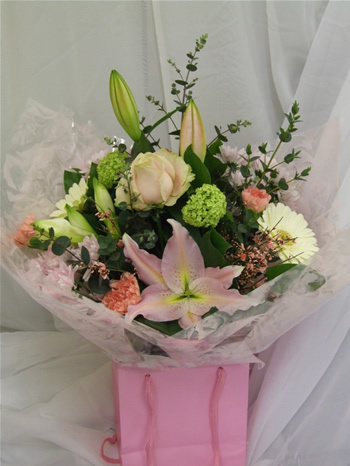 Firstly the independent florist, they are generally a small company, whose main business is selling and delivering flowers from retail premises. It might seem hard work finding a local florist’s website, as there are so many listings for florists online, it can feel a bit like looking for a needle in a haystack. Often florist shops won’t have a large budget for online marketing, so they will struggle to appear on the first page of a search engine. To find a local florist all you need to do is search florist and the area you require, you should be able to go directly to a local florist in the vicinity you require. A real florist shop will always list their address and local contact number. By ordering directly with a florist shop you are ensuring the people actually making your flowers will receive all of your money and you can see how much you’ve really paid for delivery. Your flowers are guaranteed to be hand delivered on the day of your choice as well. Don’t kid yourself into thinking that someone bigger offers free delivery. There’s no such thing as a free lunch, plus delivery drivers and petrol are not free. 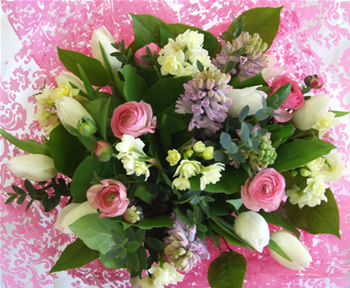 By picking a local florist you know you are dealing with experts, if you need to ask advice about the best type of design for someone in hospital or if your Mum’s favourite flower is in season, a knowledgeable florist will be at the end of the phone ready to help. Next we have the relay companies; these companies pass orders between local florist shops. For example if you wanted to send flowers to your aunt Hetty at the other end of the country, you order them in a florist, the florist sends the order to the relay company and they in turn pass it to a florist near the recipient. It works the same way online, you place your order and the relay company gives the order to local florist shop. But don’t forget someone has to pay for this service. Florist shops pay monthly membership fees to be part of a relay service and they also pay for every order they receive by way of a commission as well, which can be up to 30% of the order value. You can cut out relay companies by searching directly for a florist in the area you require this also enables you to view pictures of the florist’s own work, rather than images from the relay company. There are also order gathering companies, so called as they simply gather orders, take a commission and pass your order onto a florist. This percentage varies, but can be as high as 30% and often the florist given the order is not aware money has already been deducted. These companies often advertise for many delivery areas but when you look at their contact details, they may not list an address and only have a free phone number. The quality and value from this type of company can be very hit and miss, if you are unsure about a company like this try searching online for reviews about them before purchasing. Lastly there are the big name online florists. You might normally buy clothes or food from these brands but they also offer online flowers. They will have flashy websites offering a wide range of floral products for seemingly great prices. But the flowers are actually often made in a factory by unskilled workers and delivered in an unattractive cardboard box. When I say unskilled, I mean someone who is expected to whip flowers together very quickly, production line fashion and hasn’t trained for several years like florists in retail shops do. Bouquets from this type of company are sometimes not gift wrapped and have very little foliage, so the bouquet will simple fall about in a vase and not sit nicely. Often these companies do not use best grade flowers. Roses are often the worst offenders from these types of companies, if a stem length is not stated then assume they will be very short and therefore have very small heads. Beware delivery conditions from this type of company too, as their flowers are often sent by courier which means a delivery date is not always guaranteed. Every household name has jumped on the flower bandwagon in recent years, but what qualifies your favourite supermarket as an expert in floristry? To get the best quality and service, search for a local florist. All good florists will show pictures of their own work, beware of shops that only show standard relay company images. Florists want to show off their own good work. Many florists have business listings on Google and Facebook, these are good places to see images of florist’s work as well as customer reviews.